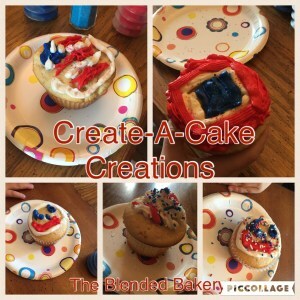 What is a Create-A-Cake party? It’s a non-traditional approach to parties where you book us for a party. Two of our team members will come to your specified location, bringing all the tools required to decorate your treats! 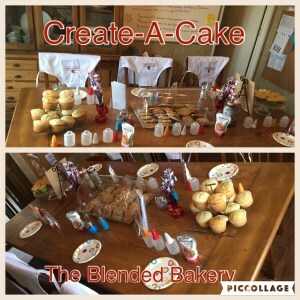 You can request mini cakes, cupcakes or cookies, and then choose your icing, colors, and toppings. You pay a flat rate (detailed below). We do all the setup, tear down, and guide your guests through the decorating of their treat! This service allows you to customize your party and not worry about whether your guests are going to have a good time! These parties are ideal for birthdays, or even a Girls Night In! Base price: $10 per person (minimum 10 people). This includes one cupcakes or two cookies per person. Base cupcake flavors are either chocolate or vanilla, and you can choose from shortbread, sugar or gingerbread cookies. Base icing is buttercream for the cupcakes. If you would like one of our premium flavors (e.g. red velvet or decadent chocolate), there is an additional charge of $1/person, which includes an upgrade to a premium icing flavor as well. We estimate an hour for setup, decorating, and tear down. Mini cakes have an additional charge of $5/person. 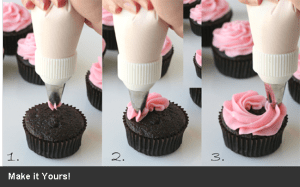 These are ideal for more adult parties, such as a Girls Night In, where you can learn how to make some of your favorite cake decorations, such as various flowers. We will guide you through building your own two layer mini cake, icing it, and decorating it with the featured topper for your party. We anticipate this will take 90-120 minutes, including setup and tear down. Aprons will be provided for children and adults. These can be included as party favors for your guests for an additional charge. Create-A-Cake parties must be booked at least two weeks in advance. A non-refundable deposit is required to save the date. Call or Email to Book Your Party!